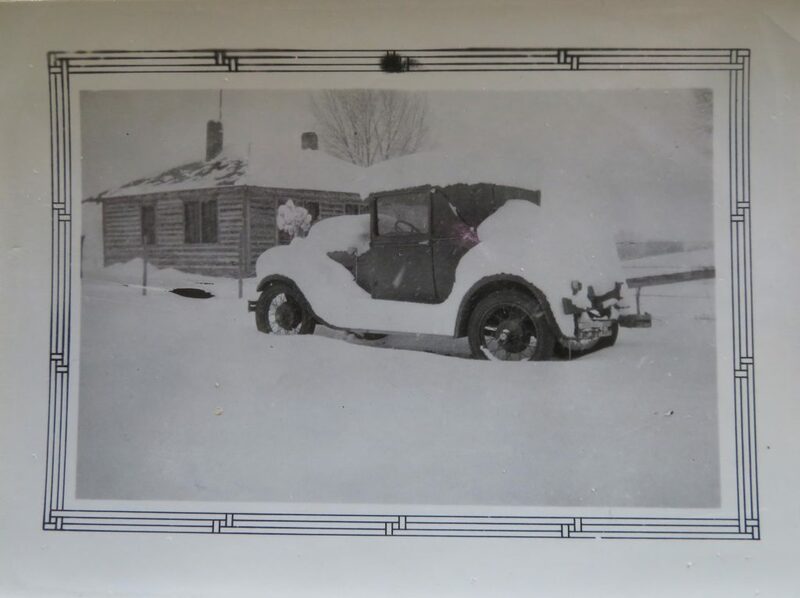 If that car is a Model-A Ford (1928-1932) they had no heater yet. And they had one windshield wiper Wish I could see the front of the car to be certain! Nothing written. Johnny just told me Model A coupe, but you sure couldn’t prove it by me! He doesn’t remember anyone owning a coupe, so he thinks it must have been visitors. a very timely photo with all the snow in places, nothing but green grass here in central Iowa! Love old photos, Thanks!